Every year during the week of Christmas and New Years a few different things happen. It is always brutally cold, dark or rainy here in Iowa. I drink way too much coffee, and if my birthday didn’t occur this week, ( it’s today.) I would have no idea what the date is or what day of the week it was. We have something new this year to keep our family occupied during this sleepy, cold Christmas recovery week. Football. My oldest son has become very occupied in all things football this year after a very successful season of flag football this past fall, and the interest has trickled down to my two younger sons as well. The interest in football in our house became deep very fast. I don’t allow footballs to be thrown in certain rooms in our house, but you better believe that they will pay a full game using a teddy bear instead of a ball. My sons love memorizing stats of all their favorite teams and teams they have barely heard of, and the football costume down in our costume box is getting A lot of use right now. 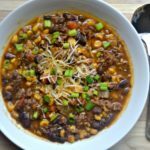 Since the weather has gotten colder, my husband and three sons have been spending weekend afternoons watching football games and loving every minute of it! 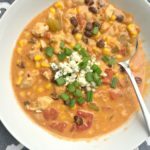 Almost every time this happens the kids ask for a snack, and I almost always pop them some Orville Redenbacher’s® popcorn because it is fast, delicious and my family loves it! 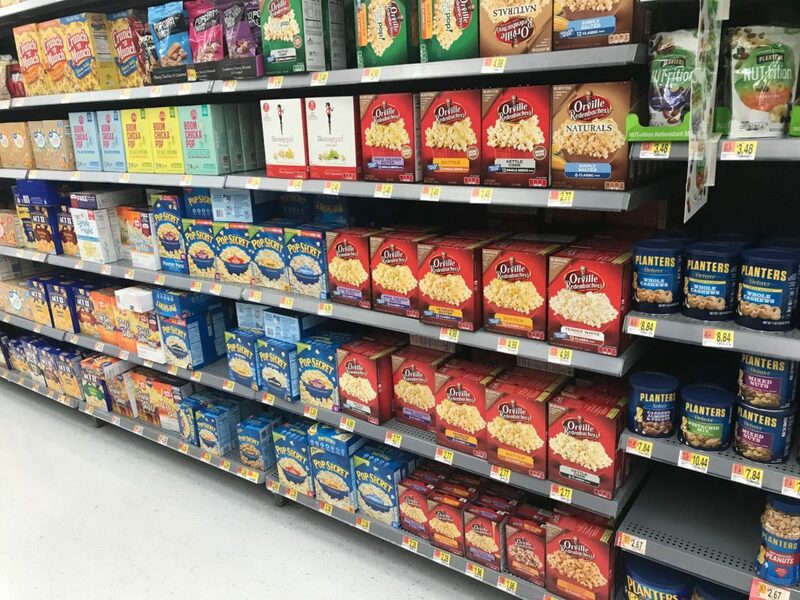 I picked up a 12 pack of Orville Redenbacher’s Movie Theater Butter Popcorn at Walmart. I found it in the snack aisle. 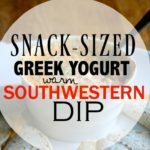 I love to keep these on hand for a quick game day snack! 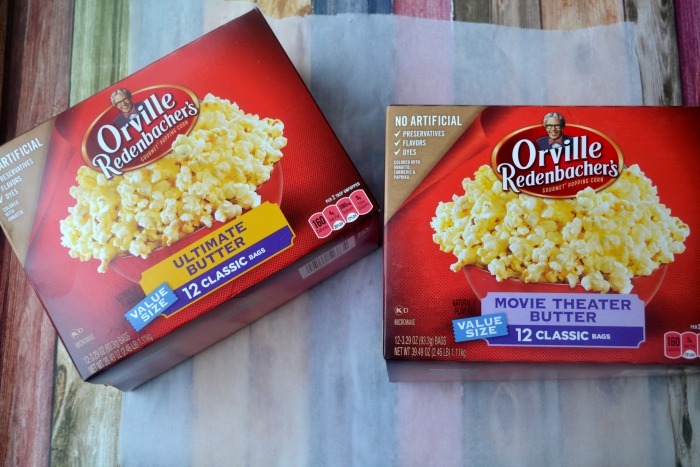 Orville Redenbacher’s popcorn is such a great choice because there are no preservatives, flavors or dyes. I have always been able to tell that Orville Redenbacher’s popcorn is so much fluffier than other popcorn. That is because in 1952, Orville Redenbacher hand selected a small group of family farmers to grow his exclusive kernel. Plus they only use real butter on their products. 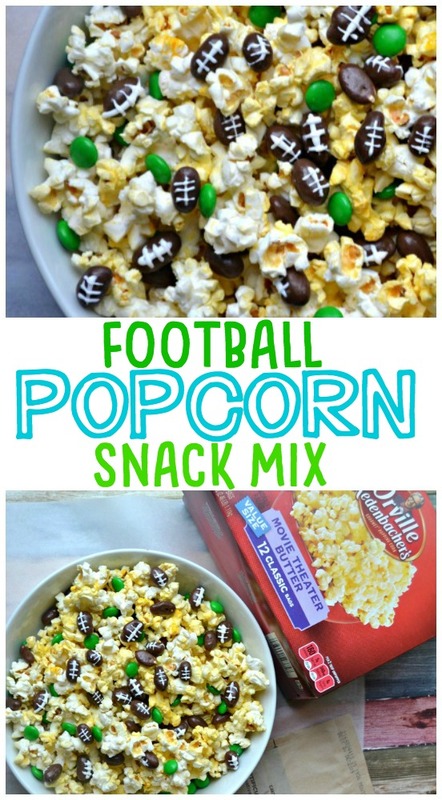 To get more recipe ideas using Orville Redenbacher’s popcorn, visit their website. You can also find them on social media. They’re on Facebook, Instagram, and Twitter. 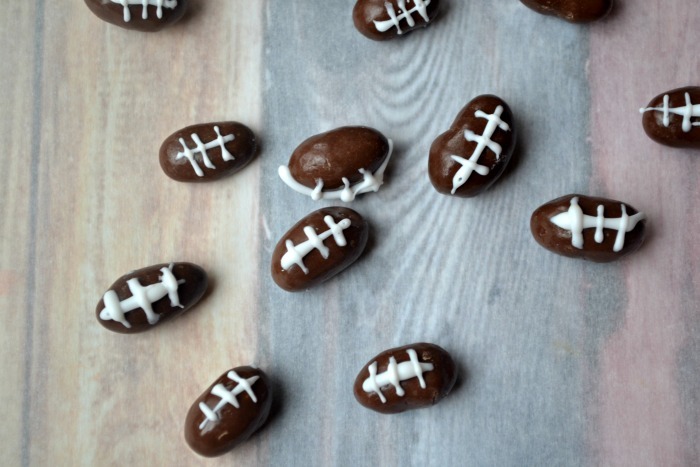 I thought it would be super cute to make the boys a special football snack for game day by turning chocolate covered peanuts into little footballs. 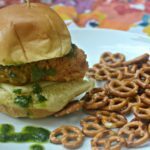 This was actually super easy and was a big hit with my kids! Make your frosting. 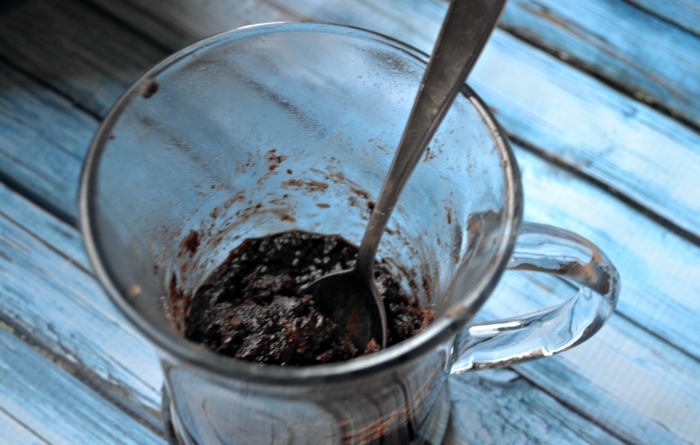 Mix all of the ingredients together an whisk. 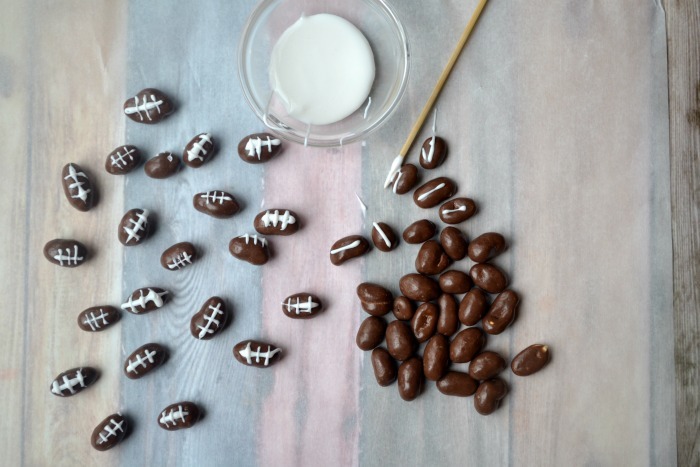 Using either a frosting bag with a fine tip or a toothpick, draw lines on the chocolate covered peanuts to make the chocolate covered peanut emulate a football. Set aside and let dry. Pop a bag of Orville Redenbacher’s Movie Theater Butter Popcorn and put the popped popcorn in a bowl. 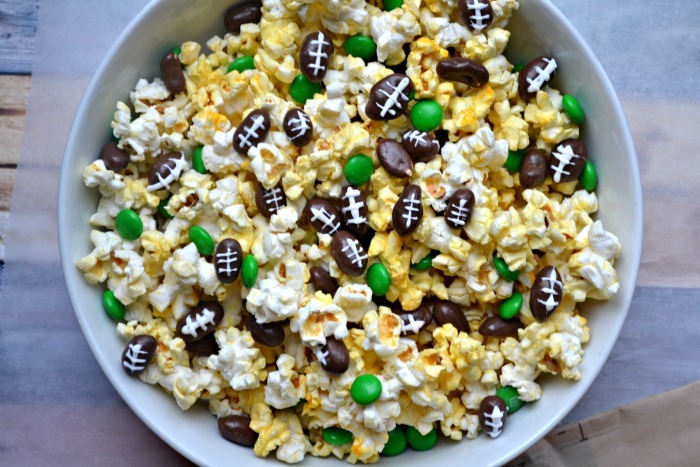 Arrange green candies and the football chocolate covered peanuts into your popcorn so that you have a festive game-time snack. 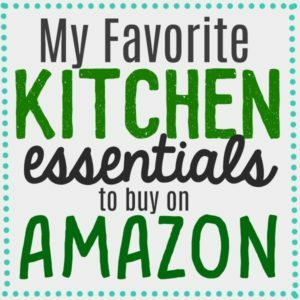 This is such an easy and a fun treat! 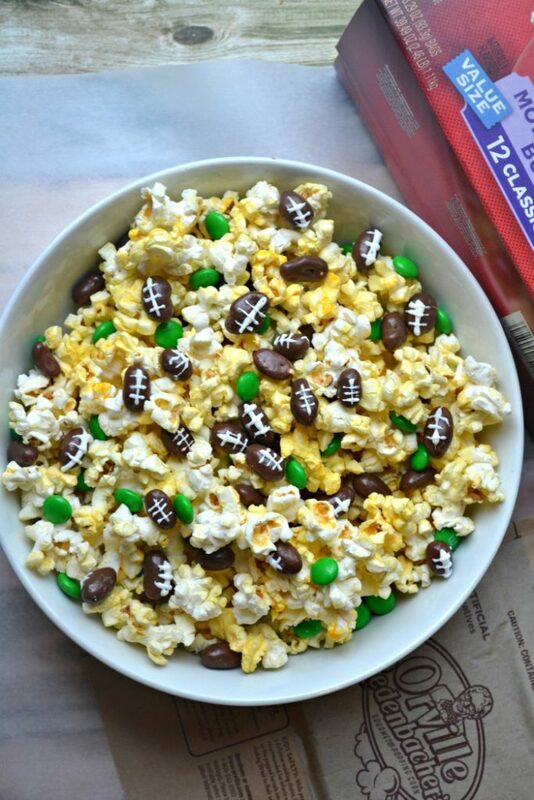 Your kids can totally help you with this easy recipe before the big game starts! 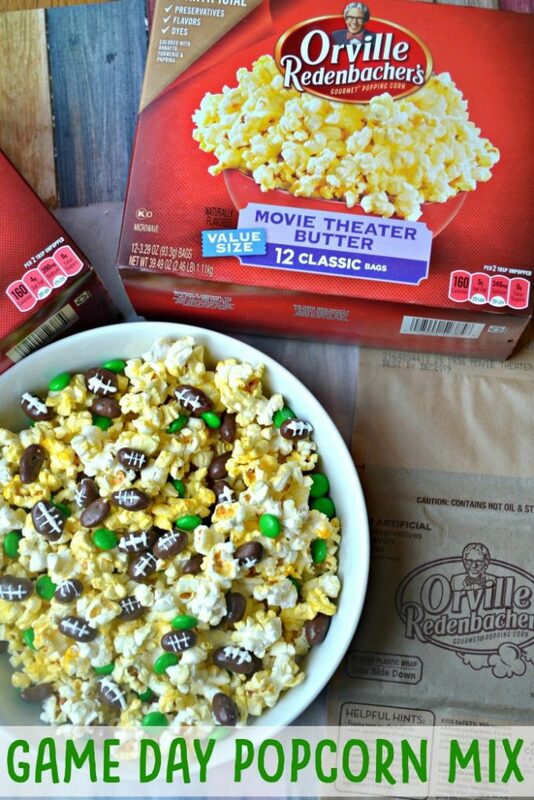 Don’t forget to check out more game day recipe ideas using Orville Redenbacher’s Popcorn. And don’t forget to check them out on social media too!